KD Gold Botanic Soap is completely non-toxic, has no warning labels because it’s so safe, is truly the BEST DARN SOAP on the planet and Cleans like the Dickens! Safe for you, your family, your home, and your planet. Available for years only in concentrate form, now KD Gold Botanic Cleaners presents Ready to Use (RTU), conveniently pre-mixed for common uses. TRY SOME KD GOLD TODAY! Only $30 (plus shipping). Order today! Use the All Purpose Cleaner to wipe down your kitchen counters and sink. Kills bacteria while leaving a truly clean, non-chemical residue actos medication. Clean your bathroom without holding your nose or wearing protective gear. Wash all your fruits and veggies with the Fruit & Vegetable Wash to delete pesticides and bugs. Carry the handy 2 oz foamer in your bag to use in public washrooms instead of the smelly chemical hand soap in their dispensers. 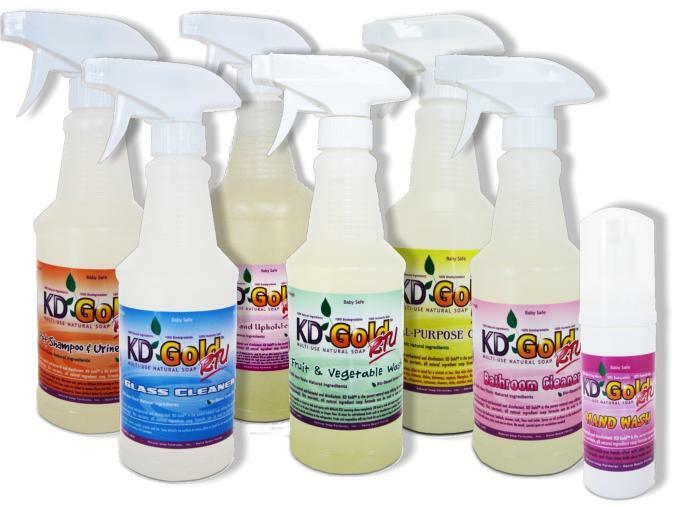 KD Gold™ Multi-Use Natural Soap is THE All-Purpose, Non-toxic, Biodegradable Soap/Green Cleaner/Degreaser of the future … available TODAY! Insect Pests: What’s worse than a bug infestation? Order some KD Gold today! Buy some KD Gold Today! KDGold by Natural Soap Formulas is a Non-Toxic, Readily-Biodegradable Botanic Soap Formula made from water, fatty acids, organic alcohol, folic acid, minerals, enzymes, edible and seed-bearing plants. For more information on how pure the soap is and how effective it is on bacteria, please visit our Safety Data page. © 2019 Best Darn Soap. All Rights Reserved.